If you are using SMS campaigns for marketing purposes, you are doing the right thing. The marketplace of today is dominated by mobile devices and smartphones so businesses that wish to remain competitive need to ensure that they are using mobile marketing techniques such as SMS text message marketing for businesses in order to stay on top of their game. However, you may not realize that it is not enough to simply have a SMS campaign. Consumers aren’t interested in the banner-style ads of the past, so you’d better get with the program and start making your SMS campaigns more interactive to keep your clients and potential customers interested and engaged. 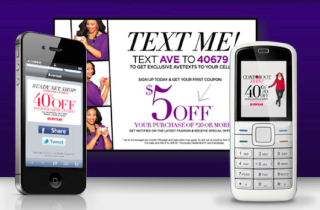 Interactive marketing campaigns allow marketers and advertisers to elicit some type of response or action from the individual who receives the text message in order to be included within the program. For example, a health organization who creates an interactive marketing campaign may request that users fill out some type of survey in order to receive health information that is specifically tailored to the health concerns of the user. Another great example of how a business can create an effective interactive SMS marketing campaign is for a franchise or chain restaurant to require a user to fill out their personal information and geographic location in order for that user to receive information regarding deals and specials at their local restaurant. Another great idea is to offer some type of prize or raffle for those who interact with the SMS campaign. For example, the health organization example from above could be linked to a raffle for a bag of health supplies and beauty supplies. Or the restaurant example from above could be linked to a prize for the 500th person who decides to join the SMS campaign. There really is no limit to how you can customize your SMS campaign to make it more interactive for your customers and potential clients. The only limit perhaps is your own imagination. You can also gear your SMS campaign towards certain holidays. For example, if you own a retail business and sell a lot of children’s toys during the Christmas season, consider creating a ‘text Santa’ promotion where your users can have their kids text Santa via your designated shortcode and receive back a personalized holiday message. If you’d rather not make it specific to one religion, you can have them text Frosty the Snowman instead! During the Thanksgiving holiday, if you own a local eatery, why not ask your patrons to suggest recipes for your Thanksgiving feast at the restaurant? You can choose a couple recipes and actually put them on the menu that night. What a great way to make your local diners who are also budding chefs feel special and valued! If you wish to create an interactive SMS campaign for your business but you can’t come up with any ideas on your own, consider getting in touch with the dedicated, experienced and professional team at TrueNorth3Mobile today. We can teach you how to make your existing SMS campaign more interactive or how you can design, create and launch a new interactive SMS campaign with our help.